When future brides dream of shopping for their wedding dress, many brides picture shopping in Paris, New York and Beverly Hills. Since 2011, Springfield IL brides have been able to come to Adore Bridal to find just the dress they have always dreamed about. 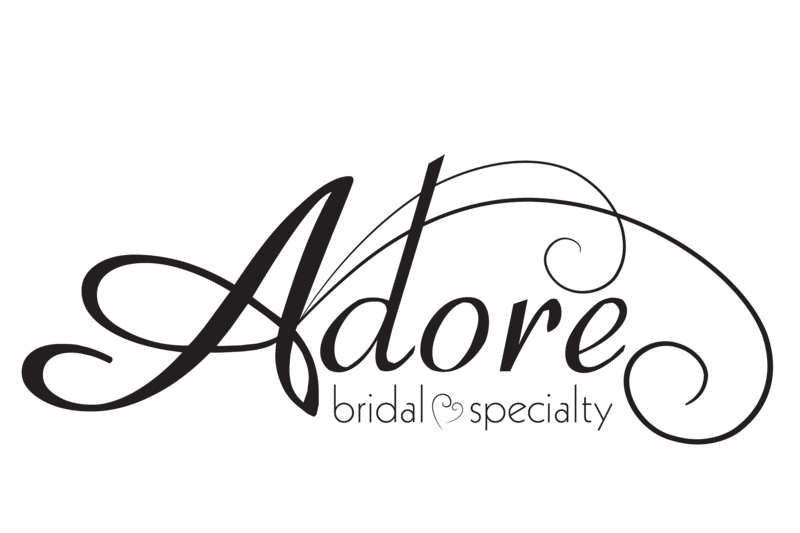 Whether you are looking for modern, traditional, edgy or romantic wedding dresses Springfield IL can trust Adore Bridal to make their wedding dreams come true! When to Start: We recommend early, six to nine months before your wedding to allow for alterations. Doing Your Research: To try to get a sense of what you want in a dress, pour over bridal magazines, books and websites. Pinterest has also become an excellent research tool—and you can follow us @adorebridals! Making a Game Plan: Look at bridal stores in advance to see if they have the designers, accessories and price range you desire! This is especially important if you are shopping for your complete bridal look, including tuxedos, bridesmaid dresses, bridal shoes, mother-of-the-bride dresses and other accessories. Whether you are looking for wedding gowns, bridesmaid gowns, tuxedos or the finishing accessories, Adore Bridal can help you complete your wedding look. With our range of modern and traditional, romantic wedding dresses Springfield IL brides will Adore shopping with us. Contact us online or call 309-291-0838 to schedule your appointment today. Def: (a-dor) to fall madly in love. We are in the business of helping brides fall in love with the perfect bridal gown, so let us do the same for you as we did for our past Adore brides.